The DNAM-1 receptor – an activating protein present on the surface of NK cells – has been demonstrated to play a key role in the promotion of NK cell-mediated cancer cell elimination. The mechanism of action was uncovered by a team at The Clinical Research Institute of Montreal (IRCM; Canada) and details appeared yesterday in the Journal of Experimental Medicine. 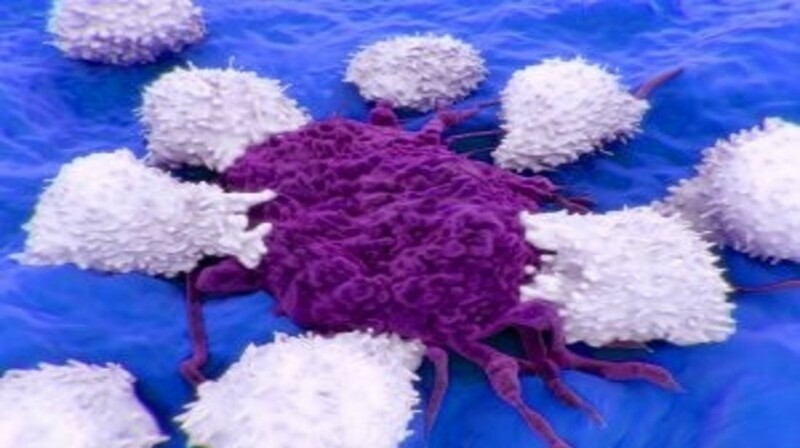 NK cells are crucial in immune surveillance and elimination of cancer cells – a process that this study shows to be at least in part stimulated by the DNAM-1 upon recognition of its ligands CD155 and CD112. The study also found that DNAM-1 competes for cancer cell interaction with other surface receptors such as the TIGIT receptor. “When the TIGIT receptor interacts with an infected cell, it prevents its interaction with the DNAM-1 protein, which, as a result, suppresses the function of NK cells and slows the immune system,” explained team lead André Veillette (IRCM).